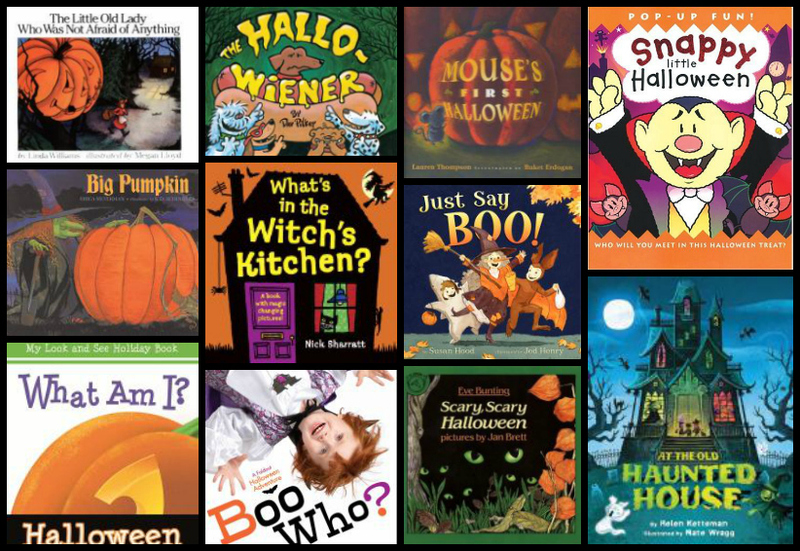 Luckily all the daycares/preschools that I go to request Halloween storytimes, because I think it is my favorite theme to do. The kids have so much fun pretending to be scared, cuddling up together and fake-shivering in fear and suspense. And I get to do one of my favorite storytime books! With the Storytime-To-Go program I see about 4-6 classes most days, for a 20-30 minute storytime each (depending on whether they arrive on time). I have about 12 books to choose from covering a range of ages, and use 2-3 with each group, along with a couple of songs or activities. We started with an introduction, letting each child quickly say what they might dress up as for Halloween, the letter of the day (Hh), and our story song. Snappy Little Halloween by Derek Matthews & Dugald Steer, fun pop-ups! Since we spent a little more time with our introduction talking about Halloween and the costumes they were going to wear, and some of our stories were longer, we ended up not doing quite as many activities during this rotation, usually just one per session. I stuck with the two that they always seem to enjoy the most and have motions or movements to do with them, though occasionally a volunteer might have something different to add. And OUT [clap] went the light! 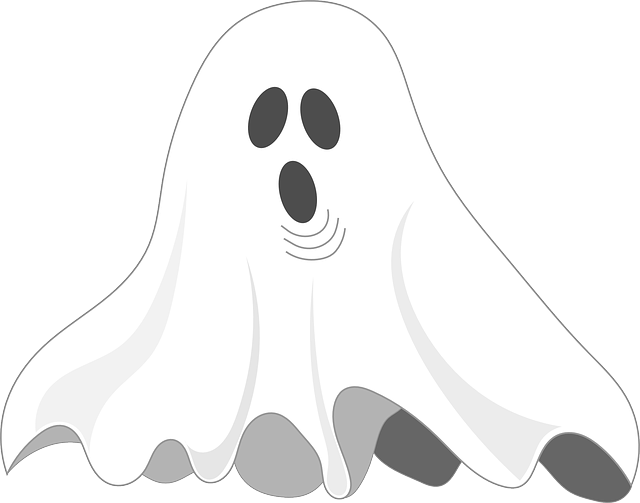 Little ghost, little ghost, flying through the air. Little ghost, little ghost, tickling my hair! Little ghost, little ghost, flying way down low. Little ghost, little ghost, tickling my toes! Little ghost, little ghost, circling all around. Little ghost, little ghost, please sit down! For this I gave them each one of our movement scarves to be their ghost since they were nice and "floaty", even though they weren't white. Not one kid commented that ghosts weren't red, orange, yellow, blue, or green; much to my surprise! You can also use tissues, white handkerchiefs, etc. I like how this one ends with them sitting down so that they are ready for the next story. As I said earlier, Halloween is one of my favorite themes to do and we have a lot of fun with it! I love, love, love The Little Old Lady Who Was Not Afraid Of Anything and it's one of the few books I can read multiple times without getting too tired of it, especially when I get good audience response, which I usually do. The only downside is that some of the kids already know it, and give away the ending, even when I ask them not to, or they may have already read it in the classroom, and it's a little long. The Hallo-Weiner is one of my daughter's childhood favorites, and most of the older kids really like it, even if they don't get all of the puns. The Snappy Little Halloween is also a lot of fun to do, and some classes really get into pretending to be scared when the monsters pop out at them. I had a couple of classes where the kids paired off, huddling together and fake-shivering in fear, then screaming as I turned each page. I love it when they are that engaged and I can get that kind of a response! The kids always LOVE the hilariously gross What's In The Witch's Kitchen, though I'm always a bit concerned about whether the adults will appreciate the mention of goblin pee and rabbit poop; so far no one has objected. One class really got into that one, too, and screamed at the end when the witch popped out, catching us snooping around in her kitchen. Big Pumpkin is a little long for some, but those that can handle it seem to like it, and it can be very interactive, with the repeated lines and the witch kicking the pumpkin in frustration, which they can relate to. The also like identifying each creature. I usually pause to let them say the pumpkin just "sat" and the character saying "Drat!". One little boy said "On, snap!" instead, which made all the adults laugh. I could tell the kids generally weren't familiar with "Drat!" Mouse's First Halloween and the two lift-a-flap books were great for the younger kids, or when we just had 2-3 minutes left to fill. I tried to find some new Halloween books to add to my repertoire, but didn't find any I really liked as much as my favorites. Got any suggestions? 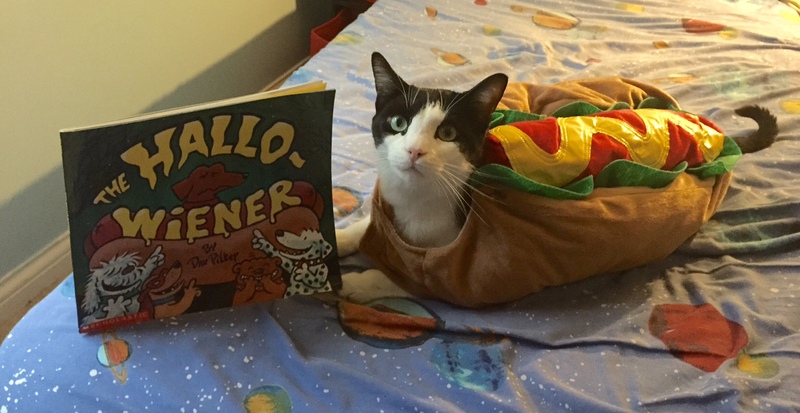 And just for fun, here is my cat Toby in his own Hallo-weiner costume! He actually doesn't mind costumes that much, and tolerates them pretty well. Plus they slow him down so he can't pester my other poor cat as much! 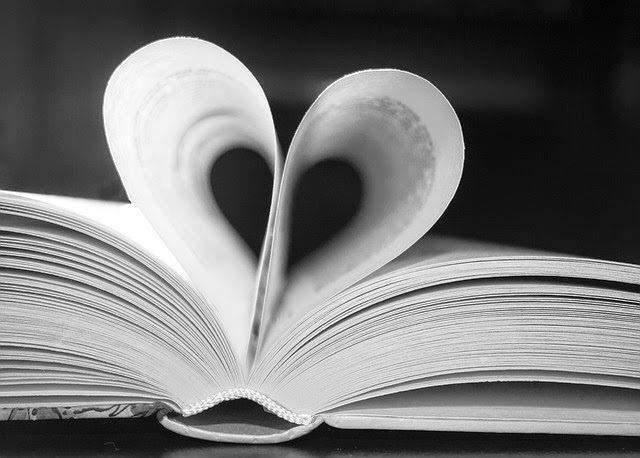 Thanks for sharing StoryTime to Go on the Kid Lit Blog Hop. ! What a great idea. Love the kitty in the bun!